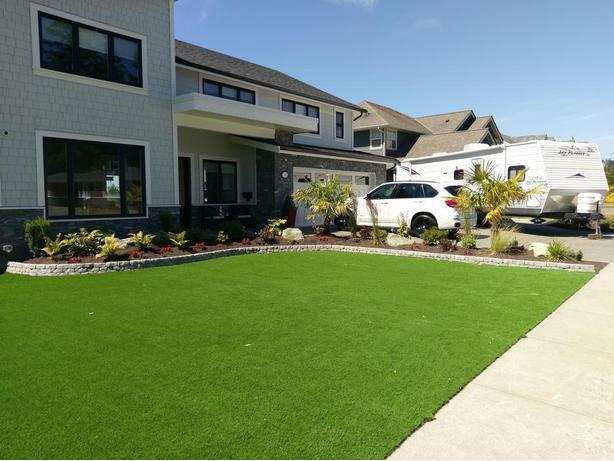 Servicing both residential and commercial customers Greater Victoria Services is a fully equipped landscaping company who prides ourselves in offering professional high quality work at fair and affordable prices. From the early design stage where we design a landscape within your budget, to the prep and construction stage where we can come in with our excavation equipment to build your new landscape, to the final planting stage, we will gladly assist you when you require a hand efficiently and affordably. We can work with nearly any budget and we will always provide you with a quality product that is done right the first time. Greater Victoria services is fully equipped with some of the best equipment on the market getting the job done efficiently while keeping cost low. Our fleet includes but is not limited to single and tandem axle dump trucks, a full range of different size excavators, skidsteers (bobcat) and track loaders, disposal bins, plate tampers, cement saws and breakers, 1 ton trucks, and tons of smaller power equipment. 99% of the work we do is done in house by our own experienced crews saving you money. We can even assist you with other aspects of your renovation project such as with perimeter drains. Give us a call, text or email us and you won't be disappointed with the results.